My Point : This unit number may be the first Tay Buan Guan shop along East Coast Road that the late Mr.Tay started. From this first shop (unit 113), it grew bigger. 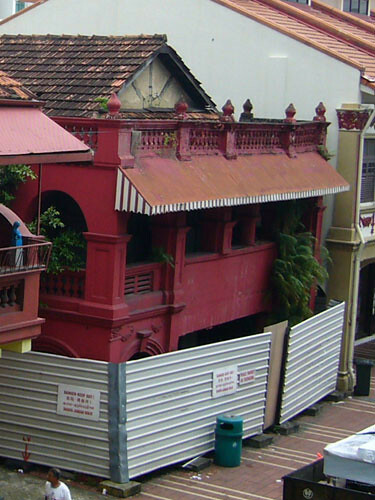 The Tay Buan Guan Supermarket was made up of 13 freehold shophouses, some 2-storeys high, located at 83-119 (odd numbers) East Coast Road. My Point : There may be 3 shops at East Coast Road. Tay Buan Guan Supermarket was 4 storey high. 3. When I do a Google Search with Tay Buan Guan Adress, I was pointed to 83A East Coast Road. The link shows the map by Singapore Street Directory. Note the address is 83A and not 113. 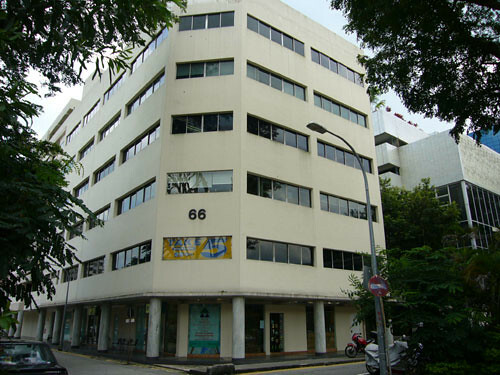 Unit 83 now is occupied by Greentown Audio Video (SONY products) and unit 113 is occupied by Rumah Bebe. 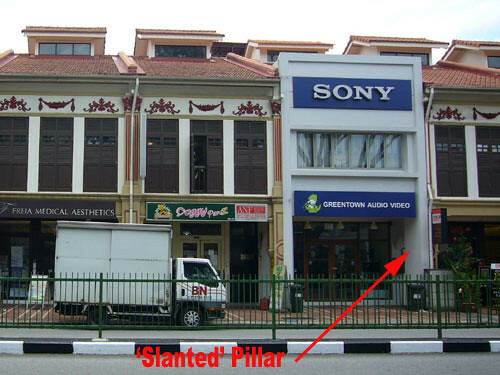 So is Greentown Audio Video the real entrance to Tay Buan Guan Supermarket (the old photo)? 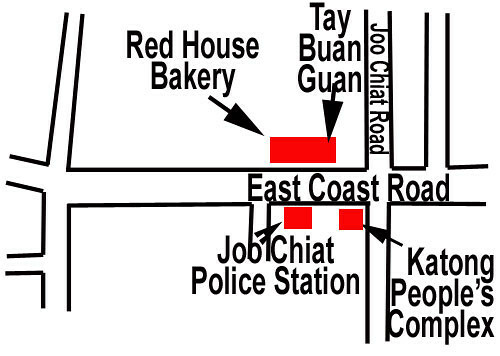 My Point : So the official address of Tay Buan Guan may be 83A East Coast Road instead of 113 East Coast Road. But why 83A and not 83. 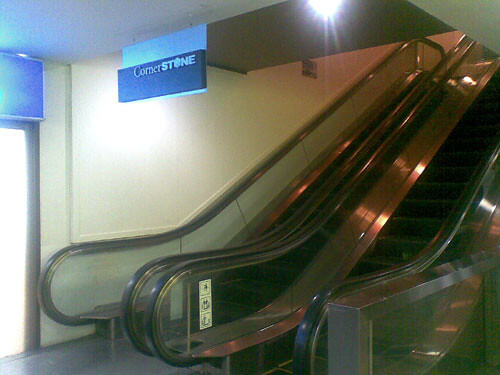 Usually ‘A’ refers to the staircase entrance to upstair unit. My Point : So part of the properties owned by Tay Buan Guan were torn down to build a condominium. If I can find the condo, that must be part of Tay Buan Guan too. Oh no, so how big is Tay Buan Guan? Yes, unit 83 to 119! 5. 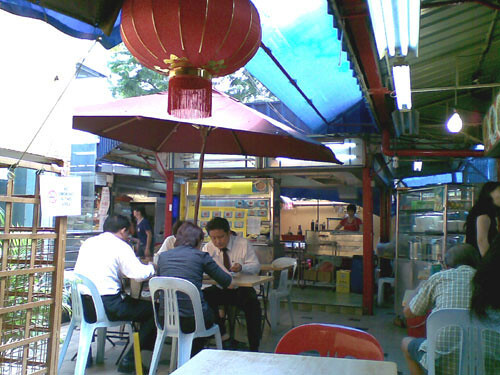 Another blogger, Katong Gal, blogged about Tay Buan Guan too. My Point : So there may be 2 or 3 entrance to Tay Buan Guan. One is via the carpark or the backlane. 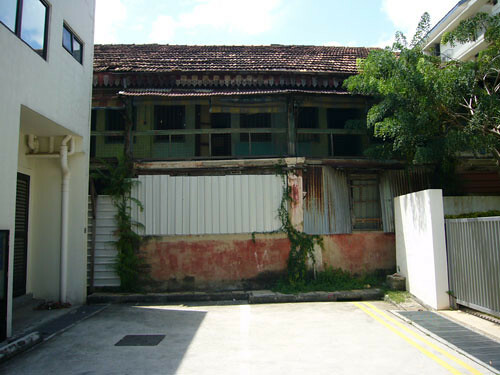 And these backlane or carpark may housed one of the Tay Buan Guan shops. 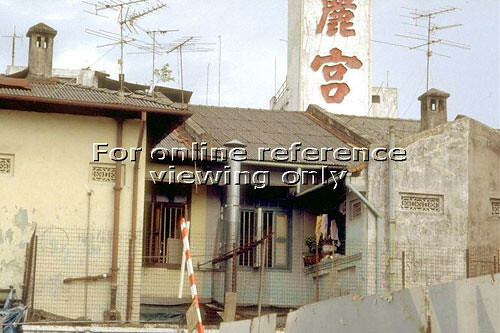 The other may be via the front shophouse like unit 83 or unit 113. “…You see I used to park my car in TBG carpark. There were 2 carpsk, the big faced the back of the bank, this small carpark was closer to ths supermarket. Separating the carpark from the row of shops was a lane and a fence. My Point : So this confirm that there was another entrance via the carpark and lane behind. 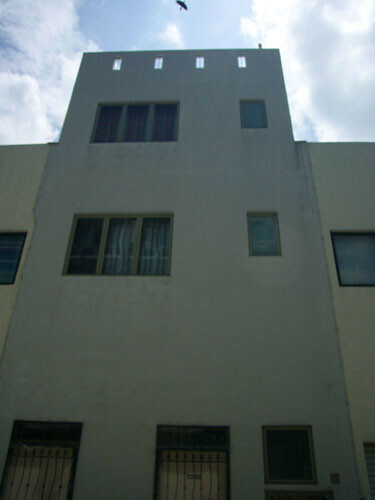 There is a small lane between two blocks of building. 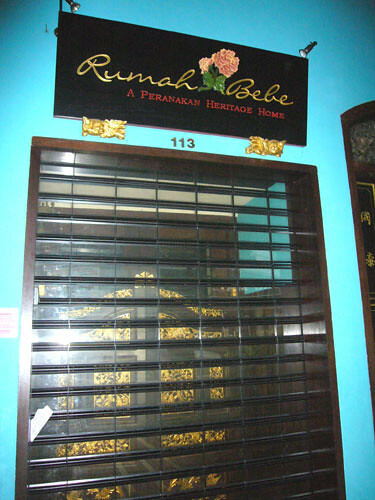 Like what Peter said, that 113 unit (Rumah Bebe) may be used as an office by Tay Buan Guan. Above Photo provided by Peter. The #113 Rumah Bebe pillars are not ‘slanted’. So from all the above points, the chances of the black and white Tay Buan Guan photo matches the #83 unit are higher. 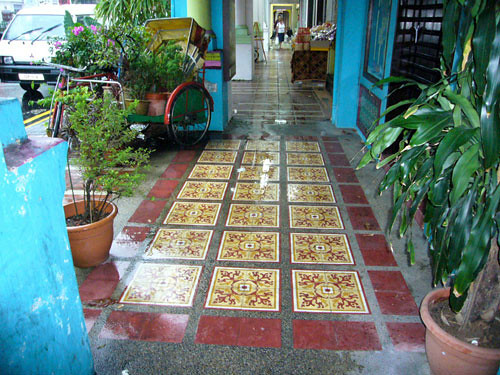 Also please take note of the flooring pattern of the old Tay Buan Guan photo matches that of the #83 one (stripes type). 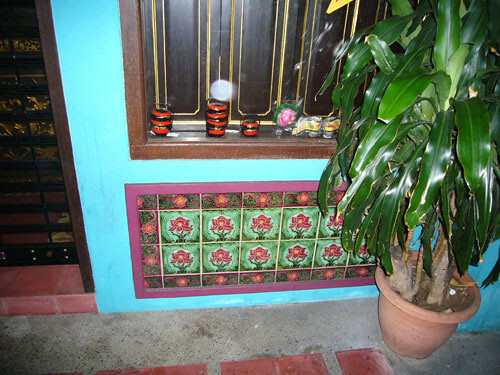 The porcelain type of pillow on the right, hollow with 2 oval holes on both sides, was the type of pillow my Godmother used when we were staying at Beatty Road. It’s rather small in size compared to those new pillows we used nowadays. I’ve tried sleeping on it but it’s hard to sleep on it and it’s cold too. When I tried to turn to my side, my head fell off the pillow. I don’t understand how my godmother managed to sleep on it so many years. The one on the left is also a pillow but of better quality. Maybe it’s more expensive than the porcelain one, so not many could afford it. But even now, pillow price can range from a few dollars to hundred over dollars…and you won’t know how it suit you until you buy it and used it. In the foreground of the above photo, you can also see the type of fan my godmother used. 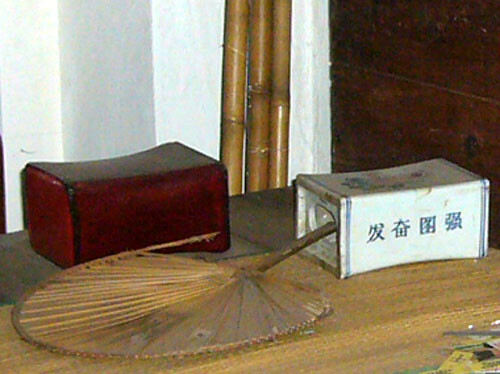 That is the normal types of fans made of probably bamboo leaves (correct me if I’m wrong) that most household will have. But now, how many of us still have it?? 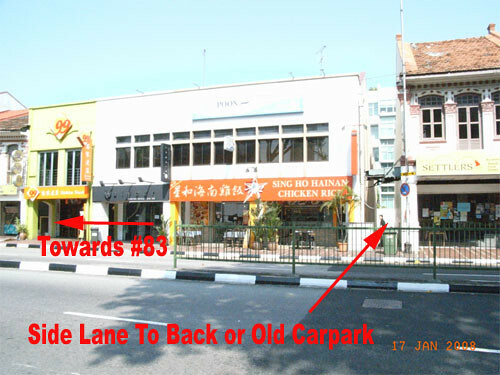 With the old names gone and new names over its place, it’s rather difficult to find them if you are not a regular at Katong. 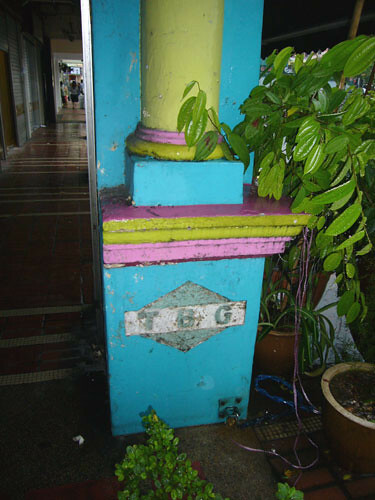 Even I am having trouble to locate the old TBG (Tay Buan Guan). How I missed the fragrance when walking past this bakery shop. When it was there, I don’t seem so keen to pop in as it was rather old fashion and crowded. That was many many years ago when I was still in my 20s. 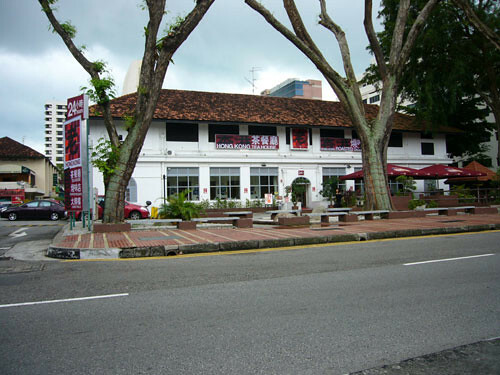 Located at 75 East Coast Road, the eye-catching red colored building has been an icon or landmark of Katong for many years. 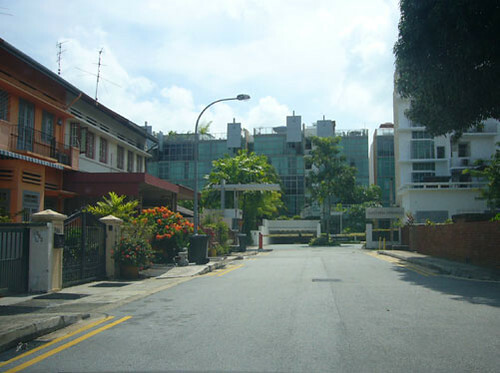 A subsidiary of the Islamic Religious Council of Singapore (Muis), is the legal owner of the property. So it’s currently undergoing restoration works and will it be an office unit or school or remain as a F&B outlet, let’s cross our fingers. Glad to know that this icon has been conserved by the authority. Click here to learn more about this Red House Bakery. 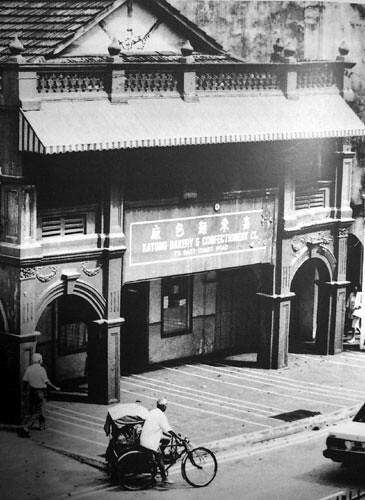 It was probably the first supermarket in the East set up in 1948 by Mr. Tay Leck Teck. Its business was badly affected by the newer shopping area nearby like Parkway Parade, and it finally wound up after 52 years in 2000. 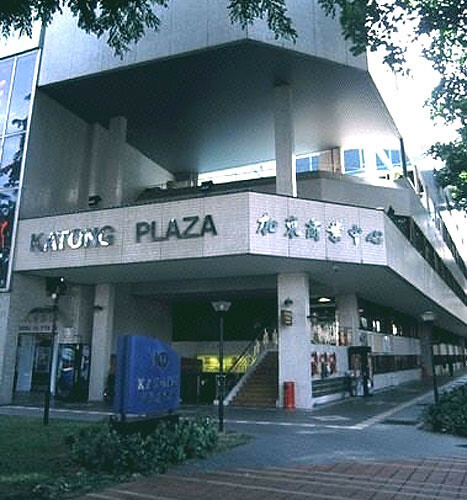 If you see the above photo, besides the name Tay Buan Guan, it also has the name Katong Shopping Centre. 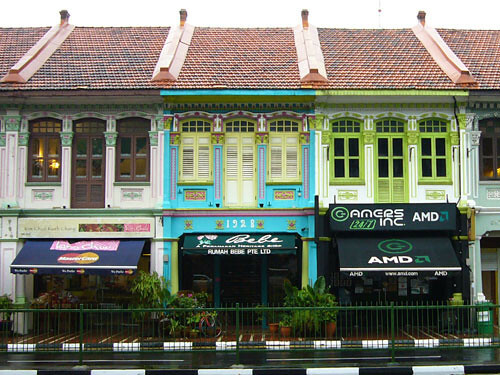 It housed a Chinese emporium called Singapura Emporium, a pharmacy and a costume jewellery shop. 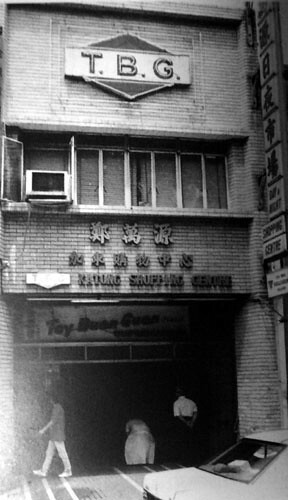 This emporium occupied the 1st floor of the 4-storey building. The ground floor and 2nd floor were other departmental stores, while the 3rd floor was roof garden. The ground floor where the supermarket located also had a milk bar. 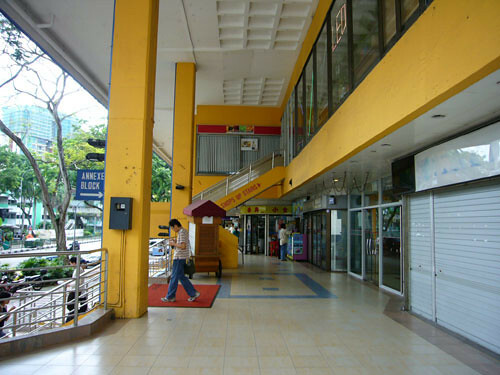 Click here to learn more about Tay Buan Guan Supermarket. 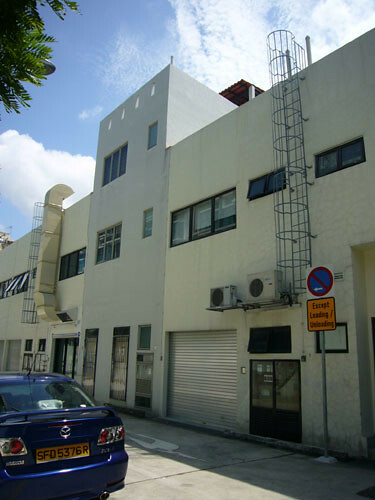 The TBG was located at 113 East Coast Road, on the same stretch as the Red House Bakery. Though I’ve walked past this TBG many times, but I’ve only been to inside only a couple of times, shame right? 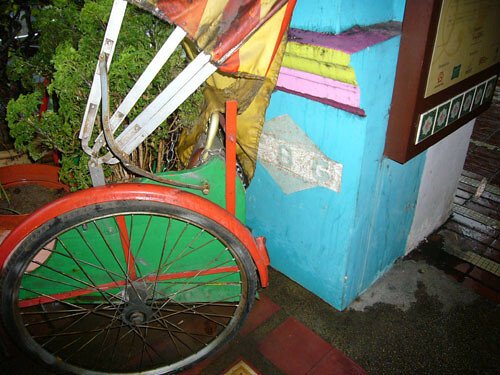 The trishaw above seems to be part of the shop decoration. Now that the TBG was gone, I yearn to go in…are you like me haha? 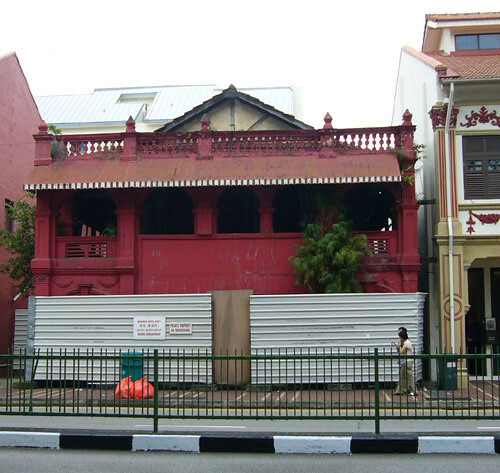 So how old is this Joo Chiat Police Station building? Probably as old as the TBG building, about 80 years old. So when did this police station cease to be one? Maybe in 1980s if I’m not wrong. 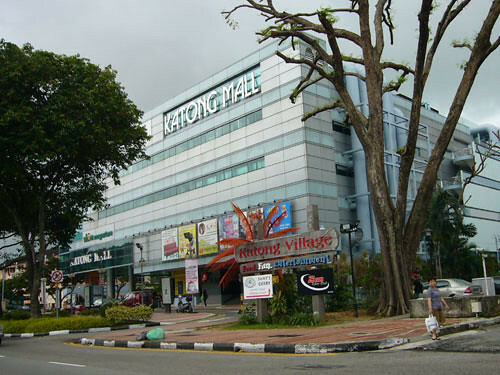 Before I end this Old Katong episode, do you know what comes before Katong Mall? 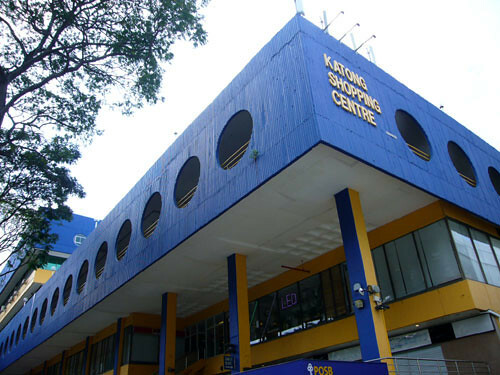 Many may have forgotten the former Katong People’s Complex (not to be confused with People’s Park Complex though same developer) – the shopping complex with steel structure and gigantic pipes at the exterior. Some said the pipes constituted to the bad fengshui. Built in 1983 and aka ‘prison with pipes’ back then, the building was struggling with poor business and in 1994, a woman was shot by an unknown gunman. Then what’s on this site before Katong People’s Complex? If you take a look at the 1970s Singapore Street Directory, you may find that it’s actually a market before this complex! This market was previously from the now Hock Ann Eating House site. 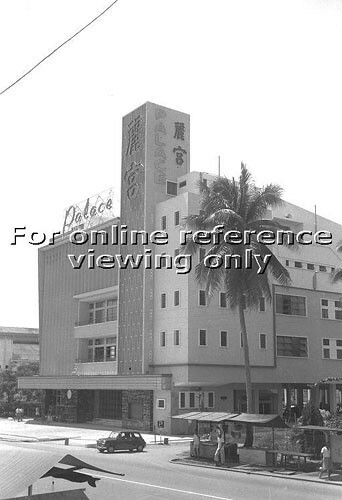 Where is this market now…somehow it has now shifted to Marine Parade. I’m talking about the old Roxy and Palace Theatre…funny right…they used to call it theatre instead of cinema. 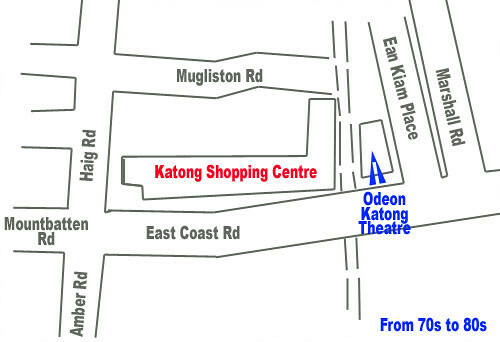 These 2 theatres are located along the same East Coast Road on the same side but opposite to the Odeon Katong Theatre. Both theatres are demolished. 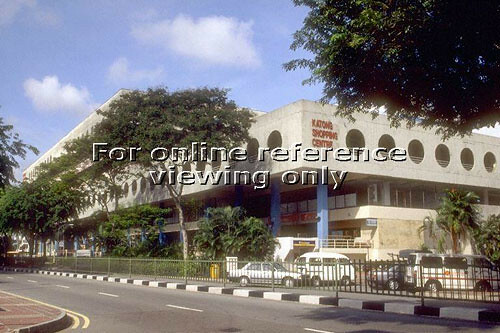 If we walked along East Coast Road from Katong Shopping Centre to Still Road, this stretch was known as ‘The Roxy Area’. 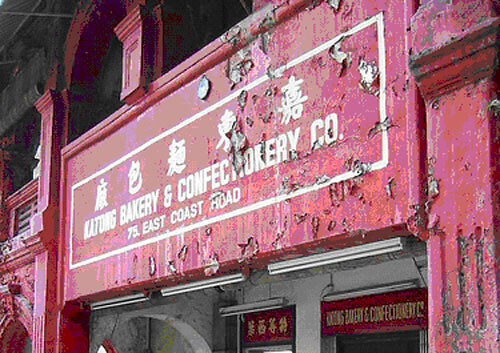 It was also the traditional ‘Heart of Katong’. 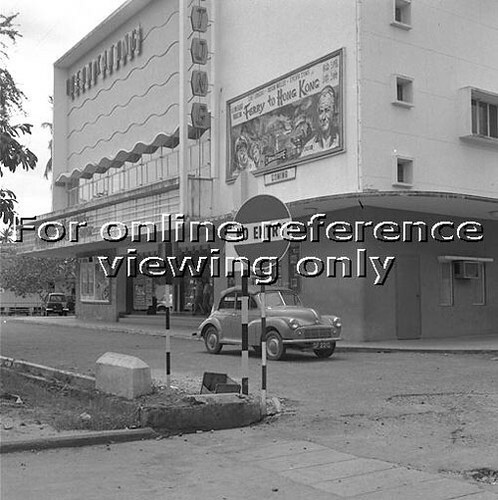 From this, what can see how popular is the Roxy Theatre back in the 50s and 60s. Take a good look at how the ‘landmarks’ changed its look over time… sad to say I’ve not been to any of these 2 theatres for a show but only passed by. 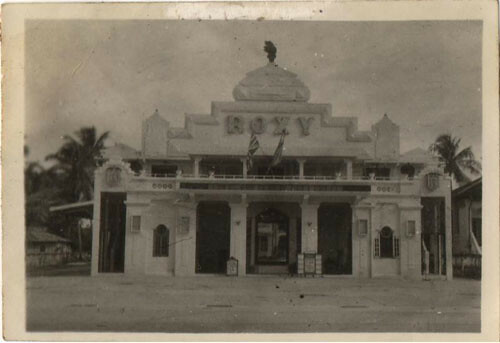 The above shows the Roxy Theatre circa 1945. 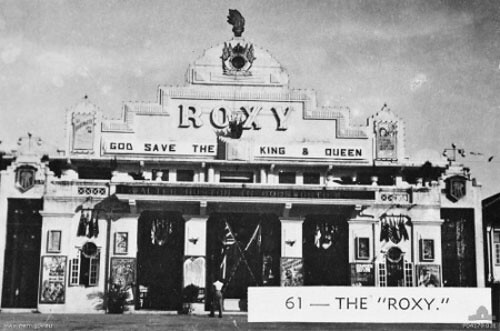 Read more about Roxy Theatre here. When the Roxy Theatre was demolished, I’m not sure. 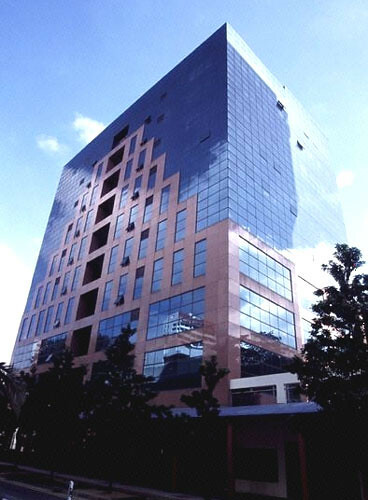 The land now is occupied by Katong Plaza / Roxy Square and the back portion of the land is Grand Mercure Roxy hotel. Take a look now and you cannot never visualise how the old Roxy Theatre sits in there. 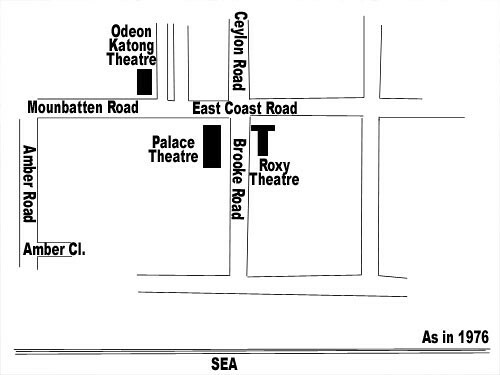 These 2 theatres Roxy and Palace were separated by a road called Brooke Road. Let me wish all friends here a Happy 2008 New Year before I begin my first post for this year. So when was it built? Yes, 35 years ago, opened in 1973, it was one of the nearest shopping centres from my home in Haig Road back then. I loved to visit there during Saturday especially after my NCC Air ECA (now known as CCA) at the Haig Road Camp. 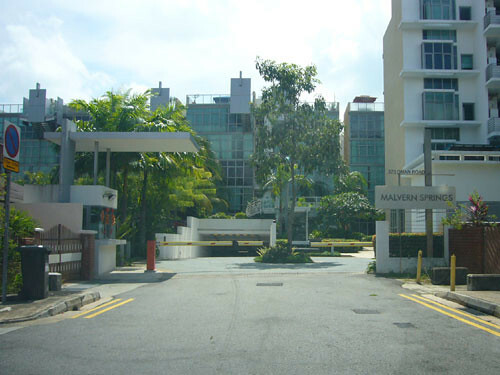 When my dad bought a 5rm flat at Haig Road in the early 70s, I was so happy as it was within walking distance to so many shopping area there like Katong Shopping Centre, City Plaza, Tanjong Katong Complex, Parkway Parade – of course some were built later. This 35 years old shopping centre used to be full of textiles and shoes shops in the early days. 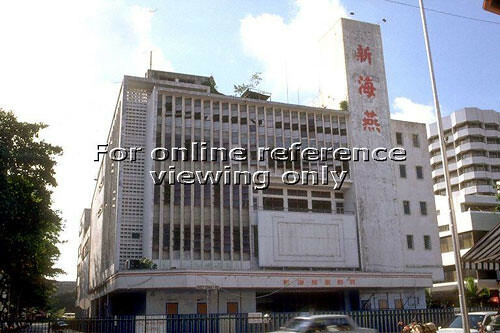 The popular Oriental Emporium was located at one corner occupying 2 floors. It was fun shopping there especially before the Chinese New Year. 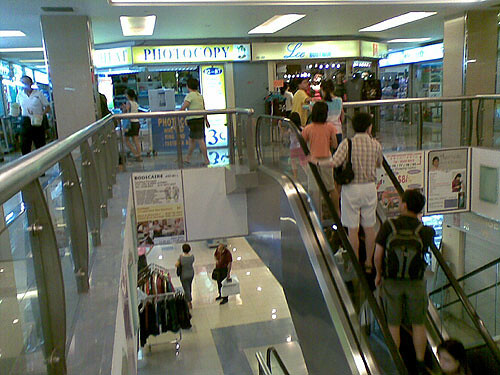 Now the whole place especially the basement and ground floor, are full of eatery shops. But I must said some of the eateries shops served value for money food. 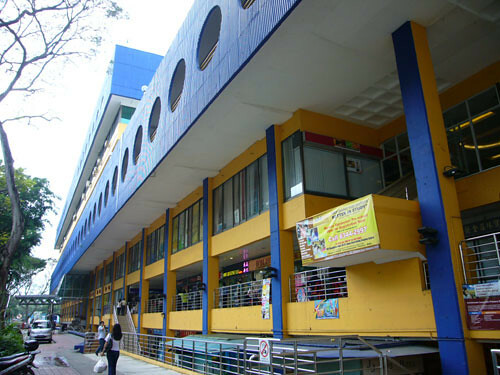 The good old Oriental Emporium, and many textiles and shoes shops were gone… This used to be a good place to know some Tanjong Katong Girls School students haha. Luckily this old shopping centre still retains its old look and not much of a makeover like most other shopping mall. The main structural change is probably the addition of a lift at the corner near the Haig Road. 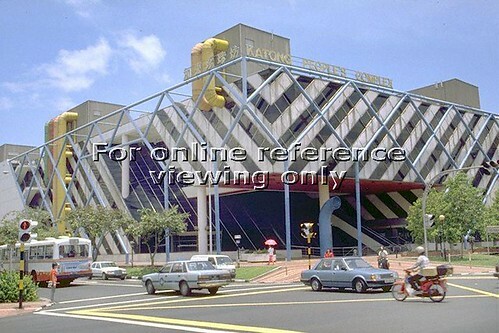 I wonder how many still remember the old Odeon Katong Theatre (Cinema) here before this Odeon Katong Shopping Complex was built? 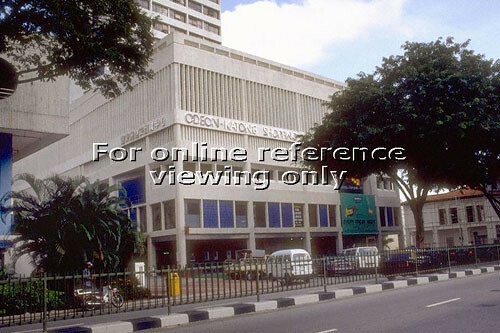 For how long the old Odeon Katong Theatre was here, I really don’t know. 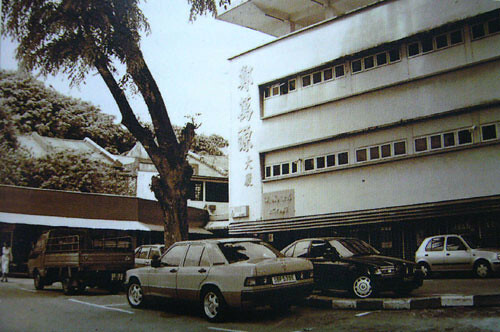 If I will to base on the 1988 Edition of Singapore Street Directory, it was still here in 1988. 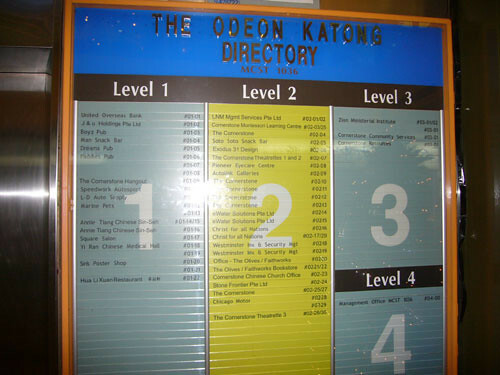 However the 1998 Edition of the Singapore Street Directory, it shows Odeon Katong Shopping Complex instead. So it must be between 1988 to 1998 that there was a makeover. Can’t see…haha…let me tell you: 80% of the building occupied by Cornerstone Community Church! 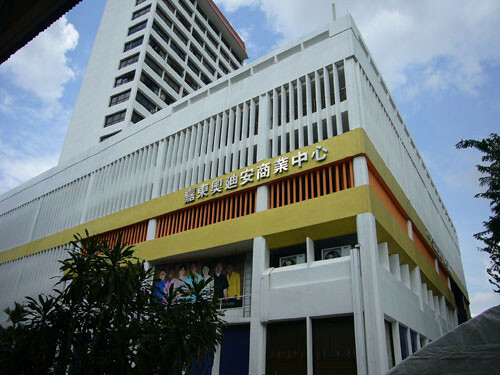 In fact, a number of old cinemas in Singapore have been converted to Church. 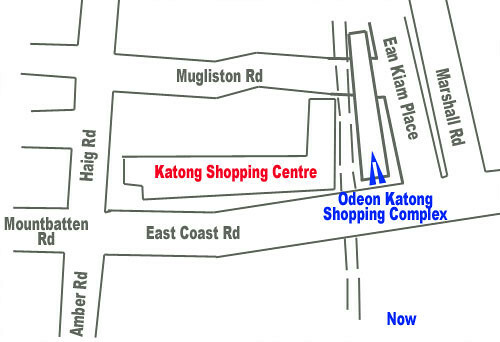 There is some changes to the road when the Odeon Katong Shopping Centre was built.